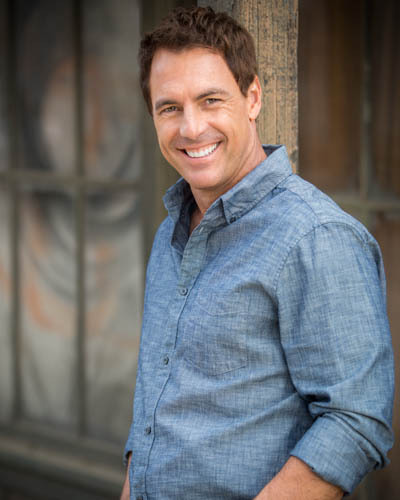 Now as co-host of Hallmark Channel’s Emmy-nominated Home & Family program, and with more than 17 years rubbing elbows with Hollywood A-listers as co-host of Entertainment Tonight, Mark Steines knows a thing or two about living the good life. Given he’s enjoyed an esteemed TV career that’s not only survived, but also thrived for more than two decades, this three-time Emmy award-winning journalist has experienced the kind of sustained success in the entertainment industry most only dream about. TLL: What does the word “luxury” mean to you? MS: Luxury means living and experiencing the finer things in life with the least amount of effort. TLL: What do you love to splurge on? MS: I splurge on convenience and anything that is going to simplify my life, like technology or the right automobile. I love to splurge on sound, lighting and most definitely anything photography related. TLL: Where is your favorite travel destination? MS: Hawaii is one of my favorites because it is so laid back and comfortable. I also enjoyed visiting Venice, Italy. Recently, I have had my sights set on traveling to Greece. TLL: What kind of cuisine do you like? MS: My latest favorite is sushi—the cleaner and fresher the better. If I were to go classic, I would pick an all-American burger with a side of truffle fries. MS: Finding your passion and living it, while doing what you love. For me, the ability to afford an expensive hobby like photography and being able to afford it with limited restriction is my way of living my passion. Speaking of his penchant for photography, Steines’ artwork—portraits and landscapes—reportedly hangs inside many exclusive Hollywood homes and offices. His photo book See the Light: A Passage to Sierra Leone, documents the Light House Medical Mission’s trip to raise awareness for fresh water in impoverished countries. Also notable is that, in the Spring of 2015, Steines photographed more than 30 celebrities for Boot Campaign’s patriotic image campaign. Born and raised in Dubuque, Iowa, Steines has come a long way, given he’s now regarded as one of the most trusted and charismatic figures in entertainment news.